Unveiling a grand consolidated sales gallery for all of Aspen Groups projects, we set out to create a large indoor display to entrance and impress visitors. Used to deliver promotional and informational videos of the Aspen Group’s many projects, it is used as a key component of the other interactive experiences in the gallery. 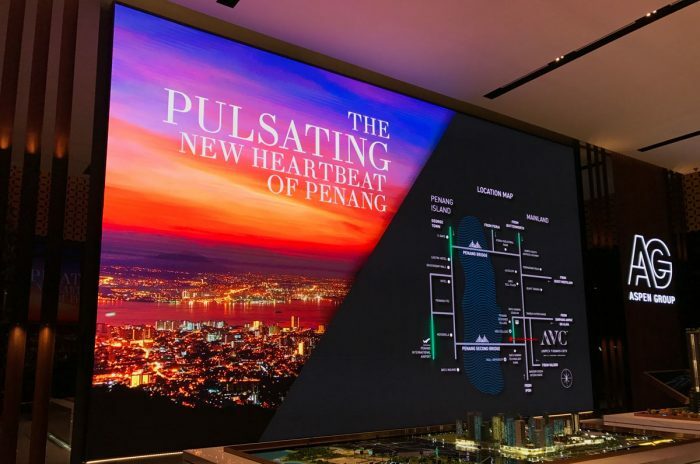 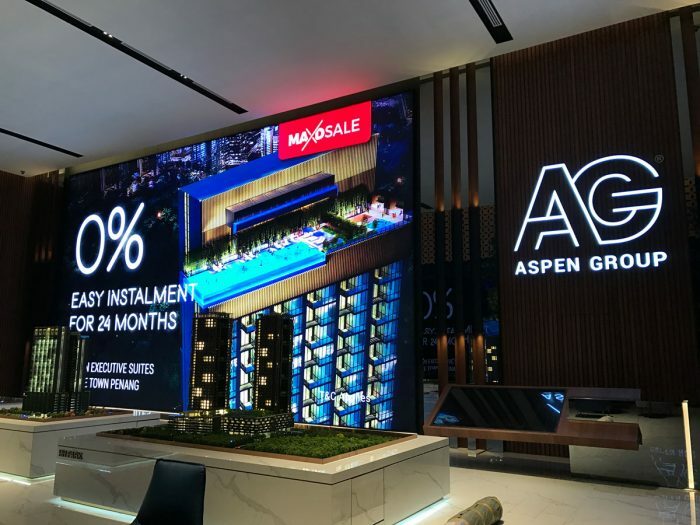 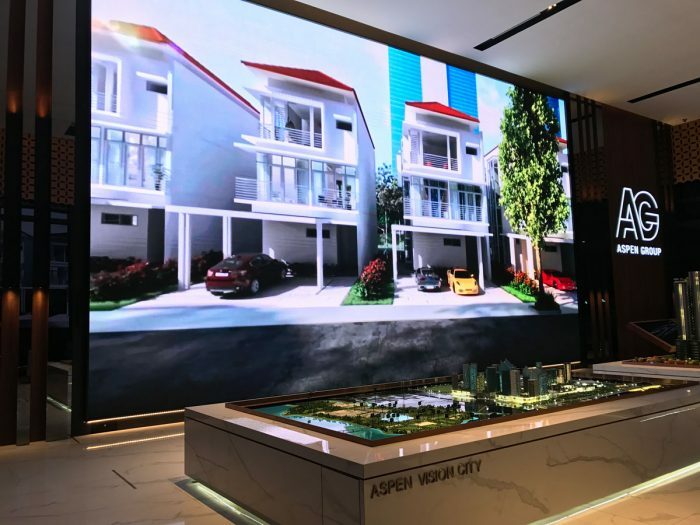 Visitors can truly find out more about Aspen’s various projects, and we are happy to be able to provide such a cutting-edge display for a beautiful space.